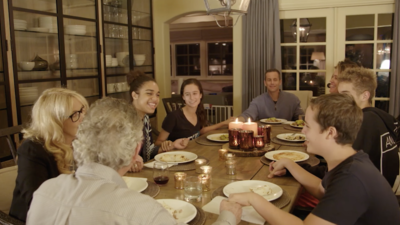 THE HEART OF FAMILY is an online, interactive course designed to share the principles that Kirk and Chelsea Cameron have learned in over 25 years of marriage and parenting. They are solid, biblically-based, and faith-filled. This isn't a self-help seminar. This is about bringing the lessons God has taught them to you. Already own The Heart of Family? Click here to login. Enrich your marriage. Invest in your family. Change the world. "Wow! 17 years of marriage and ministering together to couples and families, I still have much to grow. 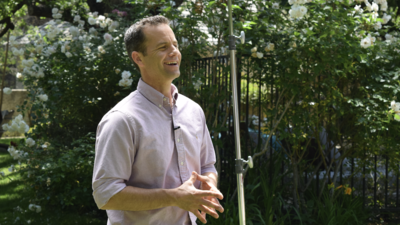 Throughout the video, I felt a burden lifted away by God's love and grace. I'm praying that I will leave that burden at the foot of the cross and walk freely - together with my wife - toward Jesus each day as I'm learning to love my wife better! Thank you for sharing." "Amazing first lesson! I walked away with so very much. I especially liked what Chelsea said, 'We are called to love, not just when we feel like it.' ... In seeing that by showing love I am being obedient to God, I can see how that will help to free me from all the hardness that is keeping me from giving or receiving love for that matter. ... I am looking forward to Lesson #2!" "This was wonderful! Love IS a choice...marriage IS hard. So thankful that God is the One to hold all things and needs to be the center point of our marriage. Certainly reminded us that watching t.v. isn't really a date! Also reminded to be conscious about the little things that get in...things the enemy tries to weasel in. Can't wait for the next lesson." "What a JOY it was for us to share with each other some of the memories of our wedding day...and how God brought our lives together. We are so enjoying this study, and are encouraging others to join us!" "This should be a pre-marital course! Even this 15 minute video was so helpful and I know could bless so many new couples as they are making this huge decision for their lives!" Want to save over 15% off the full price of both Kirk & Chelsea's marriage courses? LESSON #1: What is marriage? Each lesson contains a new video and dedicated study guide section packed with faith, family, and fun aimed at enriching your life. Do it alone or with your spouse, and complete it at your own pace. Vacation, unexpected guests, or school won't prevent you from finishing, and you can always catch up. Because the course is 100% online, it's never too late to start. You won't be behind! Not only do you get six lessons, but you'll get access to a special Q&A with Kirk & Chelsea that was recorded LIVE in September 2017. This course is an investment in the most important institution in life: your family. It's also a great tool to prepare for marriage or having children. The limits are lifted because your course will play in any modern browser anywhere. You can take the course at home, at a coffee shop, or wherever you have wifi! Isn't it time for something better? We can't afford to get marriage, family, or parenting wrong! Take a look around. Marriage and families are crumbling everywhere as society de-emphasizes their importance. Divorce has become an easy alternative to working things out. In fact, according to the CDC, the United States averages one divorce about every 38 seconds. Forty-three percent of children are growing up without a father, and studies show children of divorce suffer academically, mentally, and physically. Overall, our culture is suffering as God’s plan for the family is eroded. We can't afford to get marriage or family wrong. But if we transform our marriages and families — if we revive them into a source of strength and power — we can change culture. The statistics show that when a husband and wife put God at the center of their marriage they are not only less likely to divorce, but they're also happier. Heaven starts in the home and it flows out from there. Kirk and Chelsea Cameron have been married for over 25 years and are the parents of six kids. They've learned faith-based principles that have allowed them to build a strong, thriving marriage while maintaining a healthy family. In this course, they're teaming up for the first time to share those principles with you! "Half of all American children will witness the breakup of a parent's marriage. Of these children, close to half will also see the breakup of a parent's second marriage." "More people say they’re unhappy in their marriages than ever before." "Children from divorced parents experience significant decrease in academic success, physical health, and future stability in their own relationships." 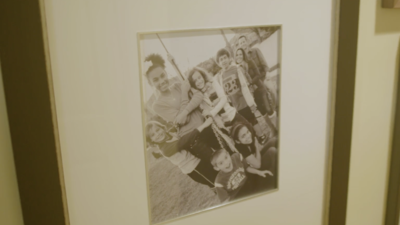 We've made it easy to use THE HEART OF FAMILY for church and small groups. "Couples who are active in their faith are much less likely to divorce." "Christian & Religious Families Happier, Less Likely to Divorce "
"Children raised in intact married families are more likely to attend college, are physically and emotionally healthier, are less likely to be physically or sexually abused, less likely to use drugs or alcohol and to commit delinquent behaviors, have a decreased risk of divorcing when they get married, are less likely to become pregnant/impregnate someone as a teenager, and are less likely to be raised in poverty." Want to stay up to date on The Heart of Family and other courses in the future? Enter your information below and stay informed! DON'T LEAVE WITHOUT YOUR 10% OFF! We'd love to connect with you in the future. 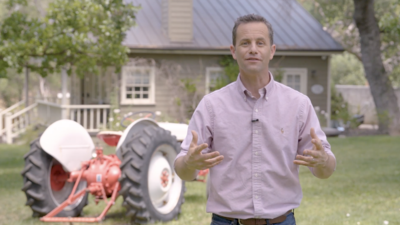 Sign up below to stay informed about Kirk Cameron events, future courses, discounts, and new movies. By signing up, you'll get a code that allows you to take 10% off any course. We want you as part of the family! 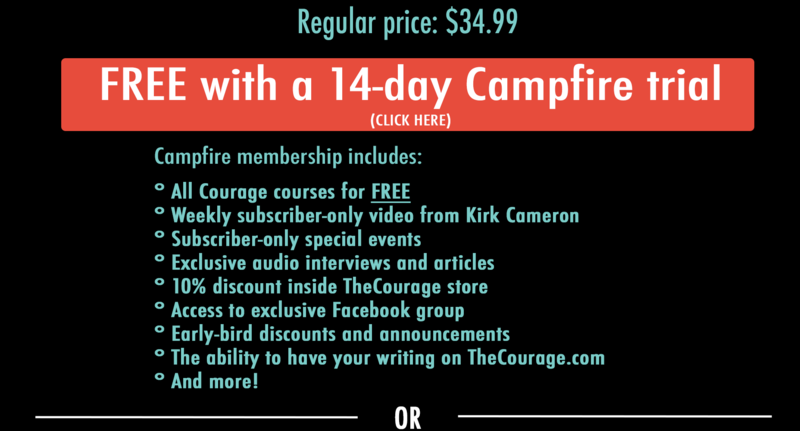 Fill in your name and email below and you'll stay informed about what's going on in the world of Kirk Cameron and TheCourage. We'll be sure to send you relevant information straight to your inbox, and you'll get a discount code to take 10% OFF any course.